The finish line to completing the purchase of your own home is the closing That’s when the deal on your new home is complete and you become a homeowner. The final costs to you may be quite different from your lender’s original Loan Estimate. The closing process really starts when you have a signed purchase and sale agreement. That agreement usually specifies a closing date when the deal will be finished. It takes between four to six weeks. 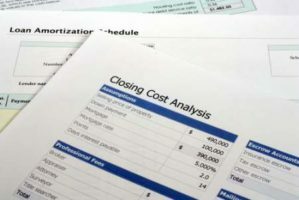 Closing costs are miscellaneous fees charged by those involved with the home sale such as your lender for processing the loan, the title company for handling the paperwork, a land surveyor, local government offices for recording the deed, etc. The average closing costs percentage is usually about 2-5% of the purchase price (e.g., $4,500 on a $180,000 home), but 1-8% is not uncommon. When shopping for a home, budgeting is a necessary part of the process. The buyer’s income and other expenditures determine how much home they can afford. Potential buyers should plan to come to closing with at least 20% of the purchase price. This price is rarely the final figure agreed upon by the buyer and seller. Closing costs can be anywhere from a few hundred to several thousand dollars. Calculating average closing costs involves looking at two types of closing costs, lender and non-lender costs, and determining what typical buyers pay for each. In most states, lender costs comprise the lion’s share of closing costs. Within lender costs, the origination fee tends to be the largest expense. 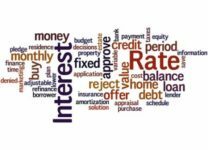 This is usually expressed as a percentage of the loan amount and this fee represents the lender’s charge for its time and expertise. Other frequent lender costs include the document preparation fee and a tax services fee. As a percentage of the loan amount, lender fees do not vary much from state to state. Most origination fees are about 1% of the loan amount. What are Different Types of Closing Costs? Lender Fees: Fees that the lender charges to process, approve and fund your loan. These fees might change slightly from lender to lender. Underwriting: Underwriting is the process by which the lender determines your loan eligibility. Origination Fee: Usually calculated as a percentage of the loan amount, ranging from 1% to 1.5%. Appraisal: Regulation requires an appraisal to help the lender assess the true value of a property. Owner’s Title Insurance: This title insurance policy protects the buyer of a property against financial loss due to title defects or liens. Transfer Taxes: This is a tax imposed by the government on the passing of title to property from one person to another. These taxes vary by state and municipality. Interest (est. 15 days): The amount of interest that accrues from the date of your loan’s funding to the end of the month when the funding occurred. The rule of thumb is to budget 2-4% of your property price for closing. mortgage closing costs will vary by location and property type. If you don’t have enough cash to pay the closing costs, you can often get the closing costs added to the amount of the loan. For example, if the loan amount is for $150,000, and the closing costs are $4,500, you’d add the closing costs to the loan amount so you’d actually be borrowing $154,500 total.